We are saddened to hear today of the death of Baden Powell, he had been unwell for some time. Baden was a true gentleman, loved his sport, he liked to recall his footballing days and his days when he caddied for Peter Butler. 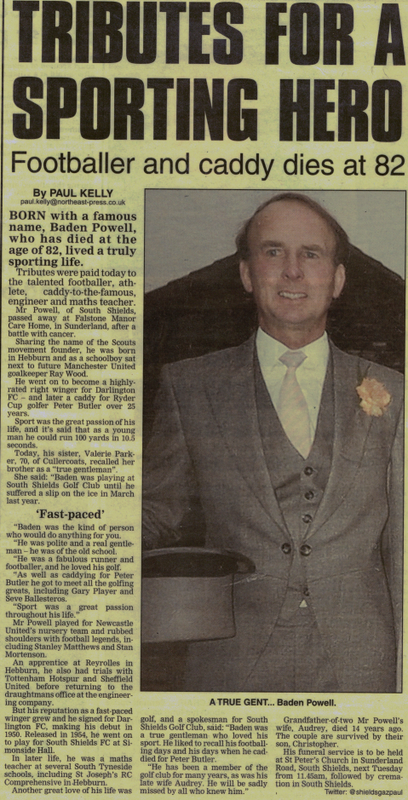 He has been a member of the Golf Club for many years as was his late wife Audrey. He will be sadly missed by all who knew him. Here is a link to an article on Baden from The Northern Echo in 2012, a fitting tribute to him.